Every inch of the sacred central spire of the tibetan plateau is saturated with divine vibrations. For Yogis and Shiva bhaktas, Mt. Kailash is the ultimate Holy of all Holies. The massive dome emerges out of the Tibetan plateau as a beautiful white snow capped Shiva Linga and is embraced by valleys on both sides forming a natural yoni of unimaginable beauty. Also known as Mt. Meru, the sacred mountain is the most physically challenging and singularly powerful pilgrimage in the world. It is especially sacred and empowering for those who seek to strengthen their personal relationship and experience with Shiva directly. The great Tibetan Yogi, Milarepa, did sadhana in a cave and performed many miracles here. 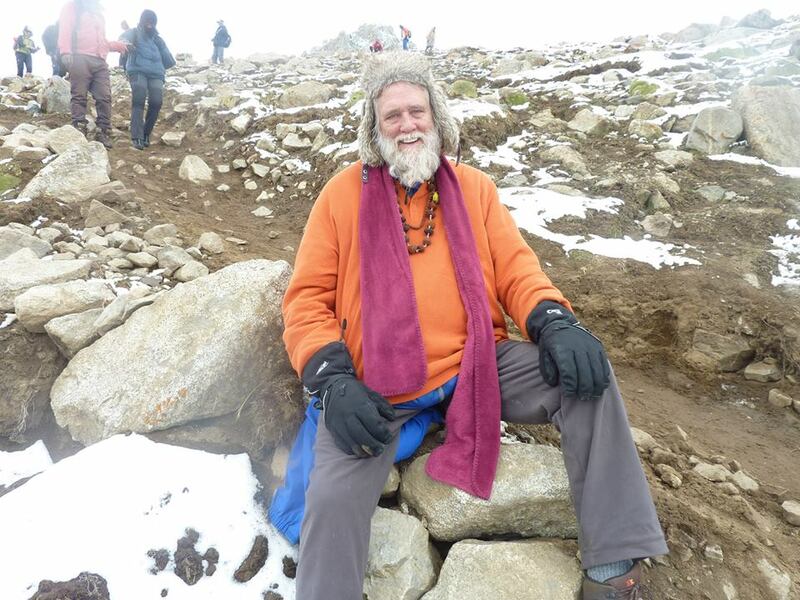 Kriya Babaji Nagaraj and many of the 18 Yoga Siddhas have also done tapas on the mountain. Every inch of the region is drenched in divine vibrations. Kailash is the very epicenter of Shiva’s energy on this planet. Sathguru Kriya Babaji too has established a seat of power and performed siddhis here in a cave high on the mountain as well. Other Siddhas are reported to have received diksha directly from Shiva at the holy site, particularly Nandi Devar and Thirumoolar. Some of the Shaivite Saints (Nayanars) of South India are known to have transported their physical bodies to this great snow capped alter of light in an instant. The siddha Ramalinga Swami brought several children to the holy mountain through a similar siddhi and returned them home safely for their dinner. In ancient times, Brahma is said to have applied his spiritual power to form Lake Manasarovar as a gift to his acetic sons in order that they would have a place to bathe following tapas on Mt Kailash. Lake Manasarovar is one of the celebrated 52 Shakti Peeths. When Shiva, going mad at the death of his wife, carried her lifeless body over the earth. Due to his cosmic consciousness, all of creation vibrated in concert with his sorrow. Vishnu, in an attempt to distract him from his grief, dismembered Satis body with his mysterious discus. Out of sight, out of mind did help Shiva reach equilibrium again, and Satis right hand fell into this lake. The energy produced a goddess who emerged as Dakshayani, one who blesses all who touch its sacred water. The cold water is certain to cleanse each and every weary soul. Puranas record that the waters of Lake Manasarovar, like the Ganges, will cleanse every sin and purify body and mind. Thus, the lake (sarovar) cleanses the mind (manas). The sacred Trisul and Dumaru (drum) of Shiva are reported by the celebrated Karnataka Siddha, Sri Swami Kaleshwar, to have been placed by Shiva himself in the depths of Lake Manasarovar, massively increasing the overall energy vortex of the region. My diksha guru, Yogi Ramaiah, a direct disciple of the immortal Kriya Babaji Nagaraj, praised the sanctity of this lake and reminded Kriya Yoga sadhaks to visit it at least once in their life time. For many centuries yogis and sadhus hiked over the nearby Indian himalayas on the ancient Kailash-Manasorovar trail. The trail skirts along the border of India and Nepal as it moves north and then eastward until it crosses the Tibetan border and reaches Burang, only 20 miles south of Lake Manasarovar. Recent incursions of individuals via that route have been reported but they are very rare, dangerous, and not recommended, as anyone who enters the region in such manner is subject to arrest and imprisonment by the Chinese authorities. Therefore, there are no longer sadhus who make the trek through that route. Pilgrims arriving from the main route through Kathmandu by vehicle arrive on the eastern side of Lake Manasarovar after several long days of travel overland in a highway from the Nepal. The journey is rugged but significantly improved since around 2006, when much of the arduous dirt roads became an impressive highway. Arriving at Lake Manasarovar, the off-road vehicles begin encircling the Holy Lake clockwise with their pilgrims, generally stopping somewhere on the south side of the lake for those who wish to bathe in the icy waters. 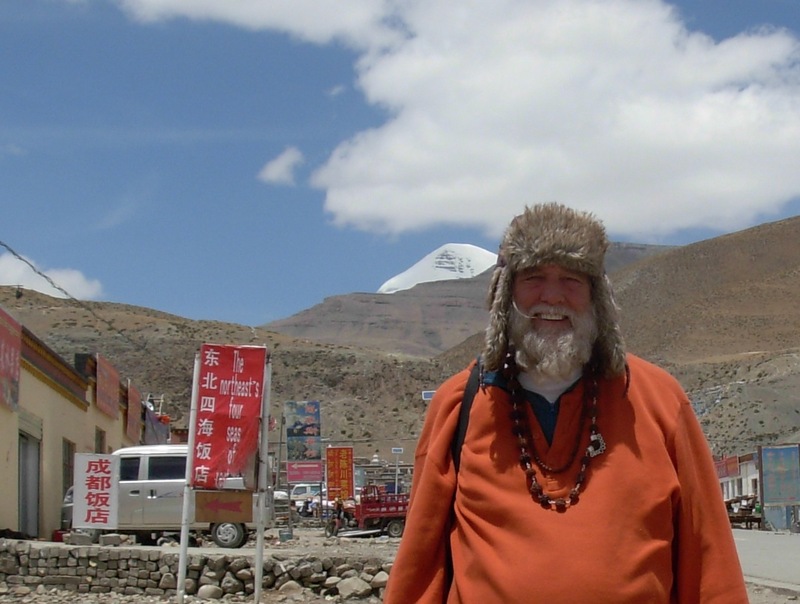 When the author went on yatra, the travel group traveled and slept five days above the 15,000 foot elevation (roughly 460 meters) in order to reach Manasarovar in the jeep safari. The vehicles moved in a northwestern direction from Kathmandu across Tibet. 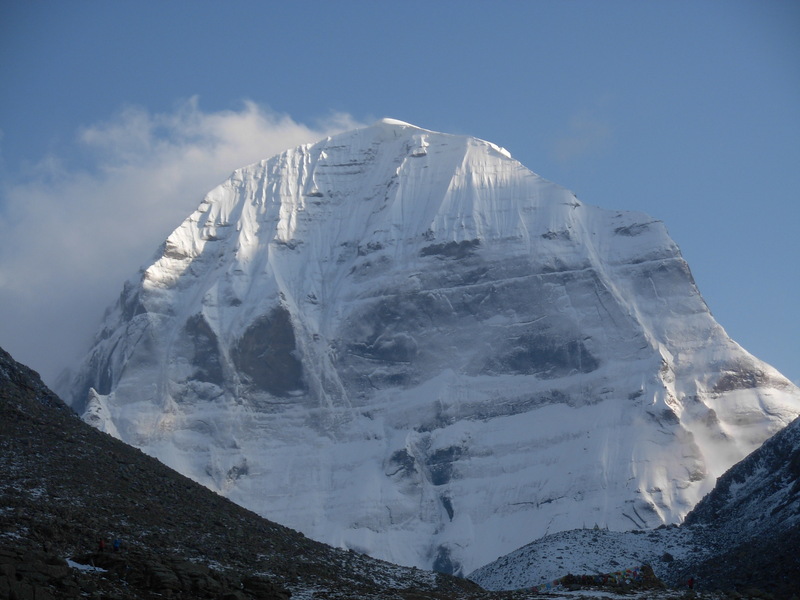 The time was helpful as it allowed pilgrims to gradually accommodate to the relatively higher elevations at Kailash before attempting the exhausting foot pilgrimage. Beautiful deer were seen during the journey, two separate herds of deer were seen as we approached Lake Manasarovar and additional deer even as we were bathing in its sacred waters. How sacred! We could not help but think of the ancient association of Shiva with the deer. He holds a deer firmly in one hand. Like the untrained mind, the deer jumps restlessly from one place to another reminding one of the mind leaping about uncontrollably. Shiva holding the deer became the ultimate role model for Yogis as he shows firmness and stability in thought. It is said by some that the musk deer, smelling an alluring aroma, travels through forest and field erratically looking for the source of the intoxicating musk, not realizing that it comes from his own being. Such is the nature of the embodied soul as we seek the Divine sweetness in every place but within our own being. There is an important place for pilgrimage, but ultimately, knowledge of Self is to be found within. Lake Manasarovar is one of the largest high altitude lakes in the Himalayas. Manasarovar is the source of the Sutlej River which is the eastern most tributary of the Indus. Also nearby are the sources of the Brahmaputra River, the Indus River, and the Karnali River (Ghaghara R.), an important tributary of the Ganges. 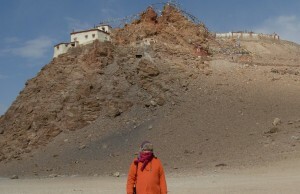 Swami Ayyappa Giri at the base of the sacred mountain on which sits the ancient Ji’ Wu Monastery on the shores of Lake Manasarovar. 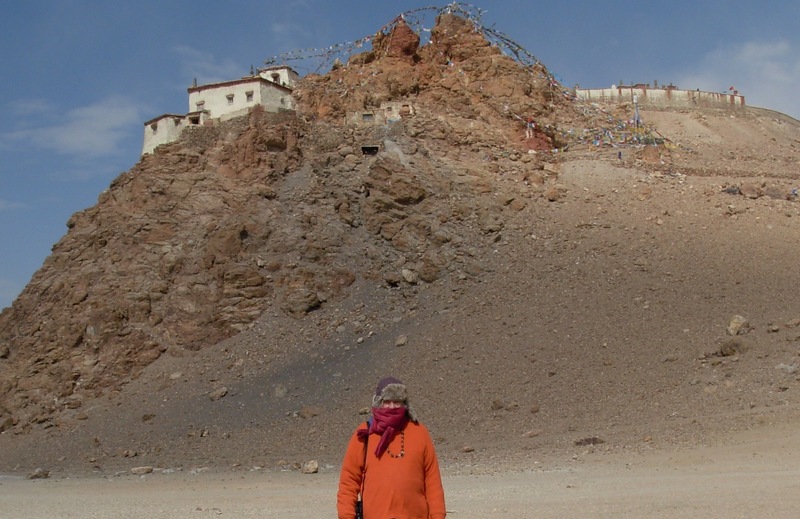 On the northeast corner of Lake Manasarovar is the Sonam Dorje, or abbot of the Ji’ Wu Monastery where, in the cave directly below the small temple, the great Padmasambhava did sadhana. Swami Ayyappa Giri is shown with the temple in the background. 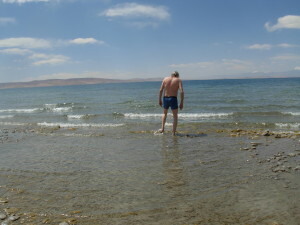 After a bracing bath in the glacier lake, the author used a yogic process to establish personal seat of power by the banks of the lake. After two days of sadhana and adventure, we proceeded on to Tarchen Village. Swami Ayyappa in Tarchen village at the foot of Mt. Kailash. The snow covered peak can be glimpsed in the background. Tarchen aka Darchen is a small village located at the foot of Mt. Kailash. 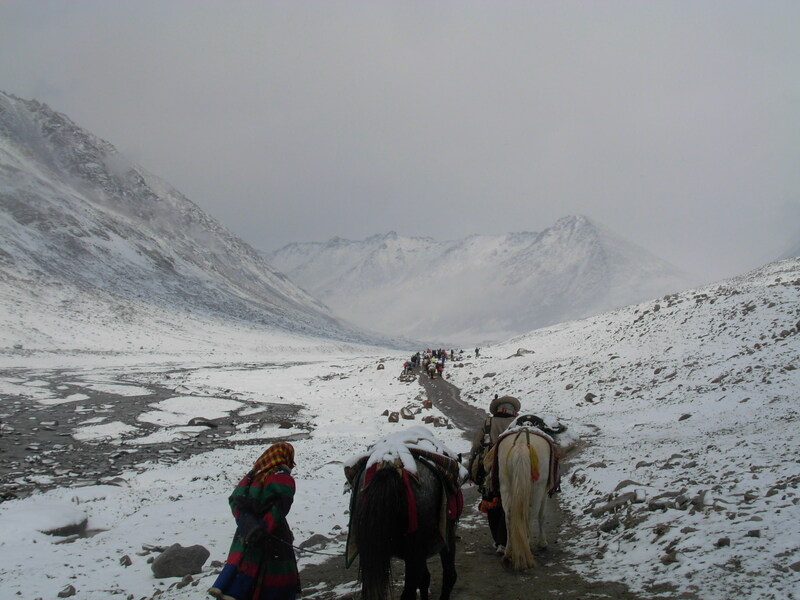 It is regarded as the base camp for pilgrims planning to circumambulate around the holy mountain. Hotels, although rustic, are available here, as is food and most of the items that a pilgrim would need. Pilgrims will begin their “kora” or circumambulation from here. Circumambulation, or walking around the sacred mountain vortex, the seat of energy, referred to as Kora. The act of circumambulation has always had an important significance for yogis and pilgrims from both India and Tibet. It is done in a clockwise direction, just as with the great temples of south India, and referred to as Parikrama. The parikrama of Kailash symbolically begins at the village of Tarchen, although jeeps shuttle pilgrims to a slightly higher elevation to begin the foot pilgrimage. Here one can also take a horse, but one should know that the horse cannot be used during the highest elevations, during places were the trail is narrow, or rocky, or steep. In this pilgrimage, more than any other, there is no substitute for a robust cardio vascular capacity. Most of the seven hour trek to Dehara Puk on the first day by the author was accompanied by an unexpected and severe snow storm which carpeted the trails and mountains. The snow remained on the mountain at the 16,000 foot level and became deeper as we trekked to higher elevation. It was spring and the trek was the first one of the season, miraculously, the snow stopped for a few minutes and the clouds parted to reveal the majesty of Kailash at Dehara Puk camp just as the setting sun cast its final light; a brief moment in time that allowed the amazing photograph above. During the night, the storm brought additional snowfall. The cold was biting as the pilgrims awoke. Many of them were from southern regions who had never experienced frost, let alone snow and ice at that level. Most crawled out of their sleeping bags, shivering and cold to the bone. The snow and ice increased as pilgrims began hiking up to higher elevations. Each step at elevation is a challenge. As one approached the Dolima Pass, the highest point of the route at 18,458 feet. 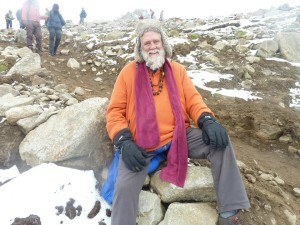 With Shiva in their heart, pilgrims pushed through the hail and snow. One has to avoid the temptation to fall asleep during rest periods. The author had given his oxygen to a fellow pilgrim and was nearly overcome with exhaustion. Yaks loaded with food and supplies move around the sacred mountain surprisingly frightened of the pilgrims around them. The author was told that later in the summer the trek is easier, especially for the south Indians, who are more sensitive to the cold weather. Many decided not to complete the parikrama, as they crawled out of their sleeping bags, stunned by the bitter cold and ice. Even those who had horses were not spared as the horses cannot be used in the presence of a narrow path, whenever the descent is icy, and when a cliff or ledge poses a manner of risk. Along with hindus and yogis, mostly from all parts of India and western countries are a curiously disproportionate number of Tamils from the hottest, southern most state of India. God bless them all. Many Tibetans and other Buddhists from around the world can be seen on pilgrimage as well, some halting at the holy cave in high elevation where Milarepa performed great Siddhis. A freak summer storm left a challenging blanket of snow throughout the trail. It became more difficult as the morning progressed. Due to unexpected extreme cold and heavy snows during the night, half of the group which this pilgrim had left with on the first day choose not to continue on the second day. A year of aerobics barely prepared this pilgrim for the experience, especially on the second day facing snow and ice. Now I am so grateful and I will never forget the joy of completing this difficult trek. Just beyond the Dolima Pass, pilgrims were slipping on ice as they began the descent, forcing them to slide down segments near the pass on their butts, which was the only way to avoid injury from slipping and landing upon rocks. The author was particularly grateful for being challenged nearly to his breaking point and for the opportunity to face the fear of death and injury. Pilgrimage later in the month of June may not be as arduous. Exhausted but totally blissful descending from the highest pass on the second day of Treking. Jai Shiva ! As I descended from Dolma Pass to about the 1600 foot level, the thin air was behind me, the snow and wind had died down, and it became pretty obvious that I was indeed going to finish this pilgrimage alive. I sat down on a rock to gather within my soul the amazing energy of Shivas presence as I soaked up the grace of pilgrimage. At that very moment, Anna, a Russian friend whom I had met several days earlier at Ji’ Wu Monastery happened by. She took this picture of the author which she sent to me electronically just a few days ago. A pilgrimage to Mt. Kailash is far more than an opportunity of a lifetime, regardless of any risk. Some say that it occurs only when Shiva allows it. Still, I pray that all practitioners of Yoga and those who belong to Shiva will experience it in this life, the life after, and the life eternal. It represents the indwelling Self. What is inside becomes outside. What is outside becomes inside.